Detect and delete duplicates. 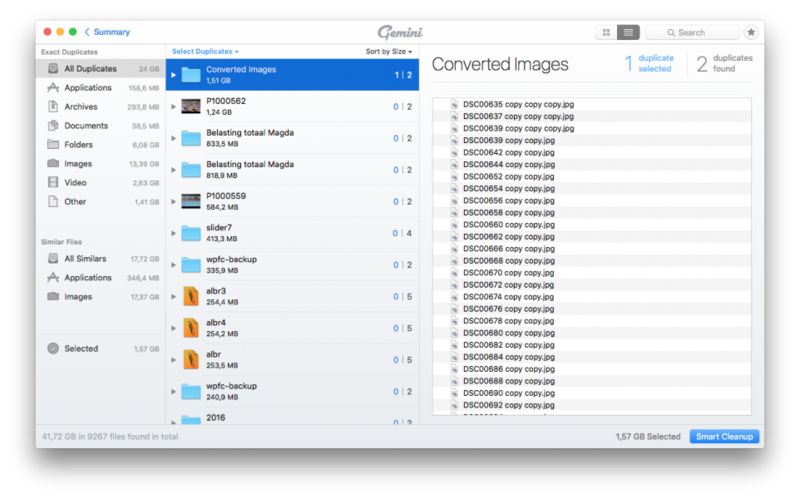 Locate and remove duplicate files, even if they’re in remote corners of your system. Gemini 2 scans your whole disk speed-of-light fast, no matter how massive it is. Dig through scan results and hand-pick the files to erase, or better — let Smart Select do all the work. Simple is stellar. Gemini’s carefully crafted to be super simple. Whatever you need to do — view duplicates in detail or quickly destroy them — it takes a few clicks. Because that’s what a good duplicate finder does: makes things simpler. Gemini 2 definitely uses its brains instead of pure muscle power. Scanning is fast and accurate. 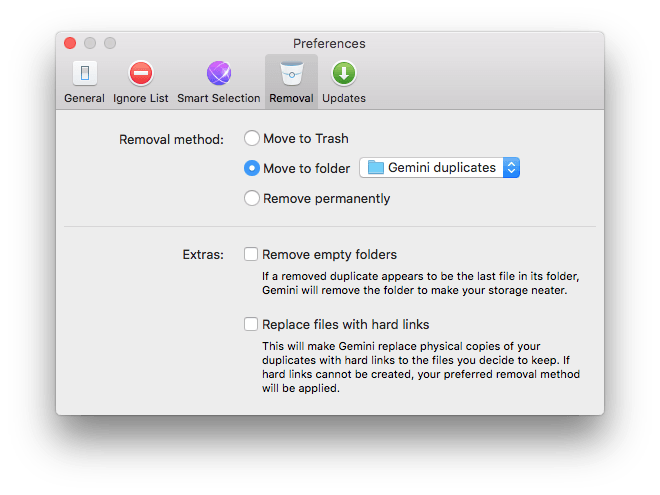 Deleting is set in the preferences, and has options for Move to Trash, Move to folder or Move permanently. Scanning is accurate however scanning of large files is slowing down overall scan speed considerable. 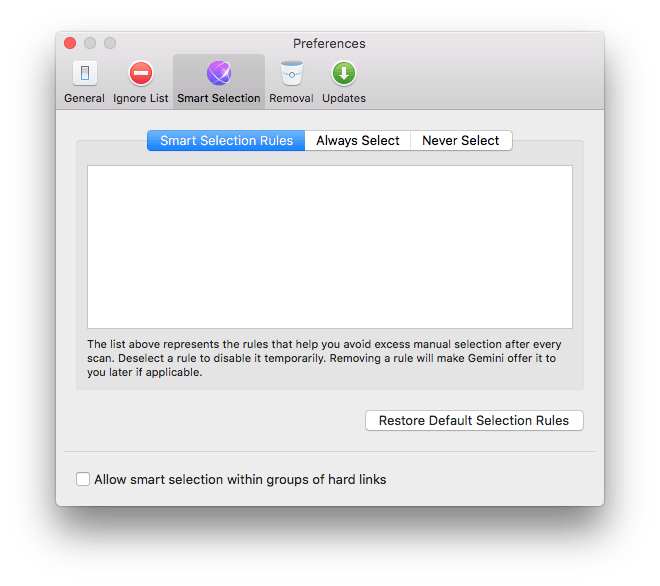 Cisdem DuplicateFinder is doing the exact same job much faster. It is up to the user to set his preferred deleting option. A simple utility that does what it needs to do, Find & Destroy. 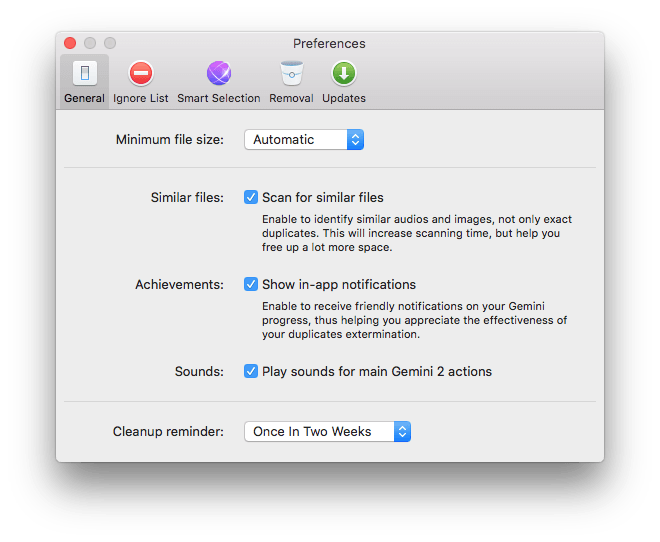 Gemini 2 is not your average duplicate finder. This duplicate finder uses its brains instead of just searching for the same file names and size. It determines which is the original and which is a true duplicate. It does the job with speed and accuracy. And before a final delete it needs conformation to do so. The competition Cisdem DuplicateFinder had the same scan results but performed much faster scanning larger files. 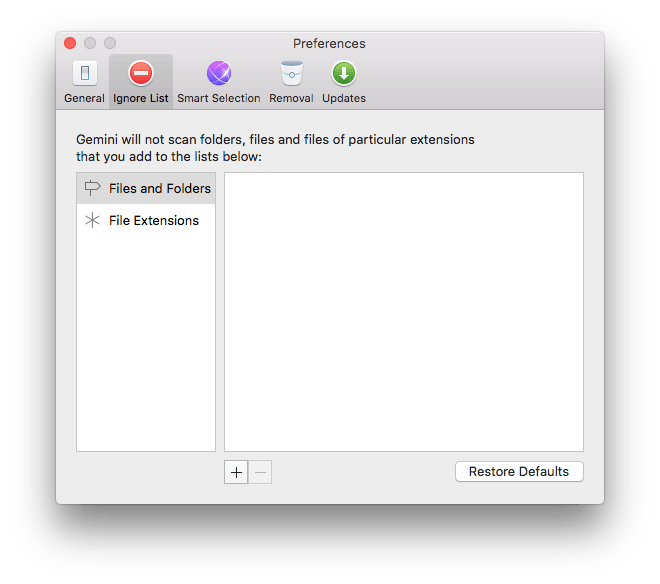 The interface of Gemini is better and provides more information. The prefence options of Gemini are more extensive. 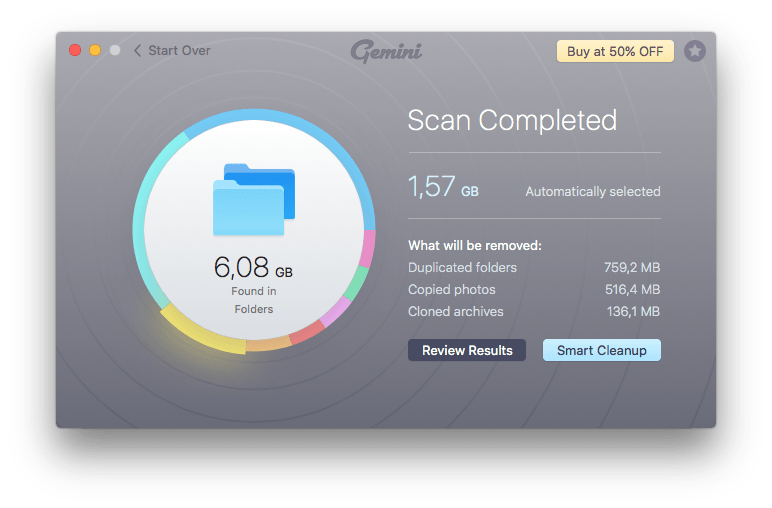 Gemini 2 asks the user if Photo’s and iTunes need to be included in the scan, others need a seperate scan. 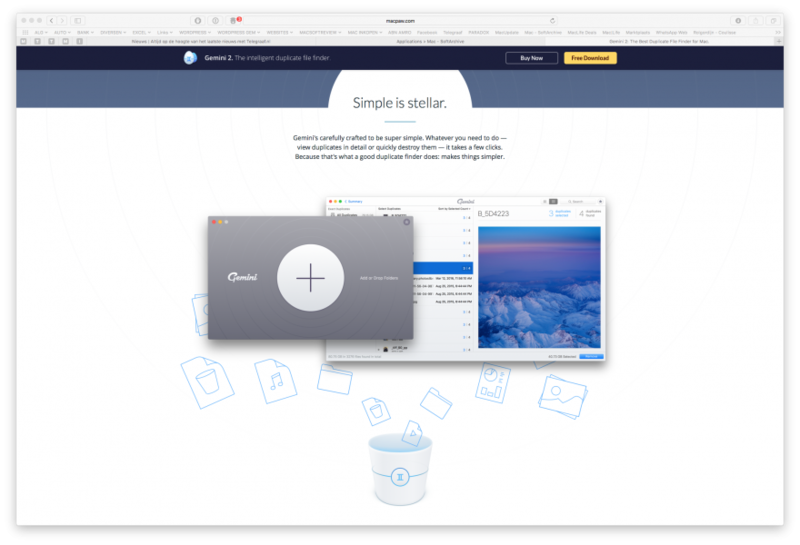 Right now Gemini 2 has a great price offer, so if you want it, this is the moment to get it.